So our little guy is almost 14 months old, so I am 2 months late on this post, but I had to share some of my favourites anyway as I thought better late than never! Getting back into work and ending my maternity leave has been quite the adjustment. That is why it’s been a little quiet on the blog lately. 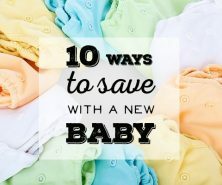 I hope to do a post about the adjustment and provide some tips from my experience. Look out for that post next! I really do miss posting though, and I wish I had more time to dedicate to the blog, but juggling a full time job has been tough. By the time I get our little guy to bed it’s almost 8pm at which point most nights I completely pass out from exhaustion, have about 1 hour to myself and then head to bed for 9pm so I can get up early and do it all over again! When is there time to blog? 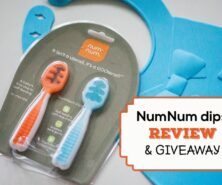 I would love to hear from working moms how you find time for hobbies! But enough explanation on why I’ve been a little MIA lately. 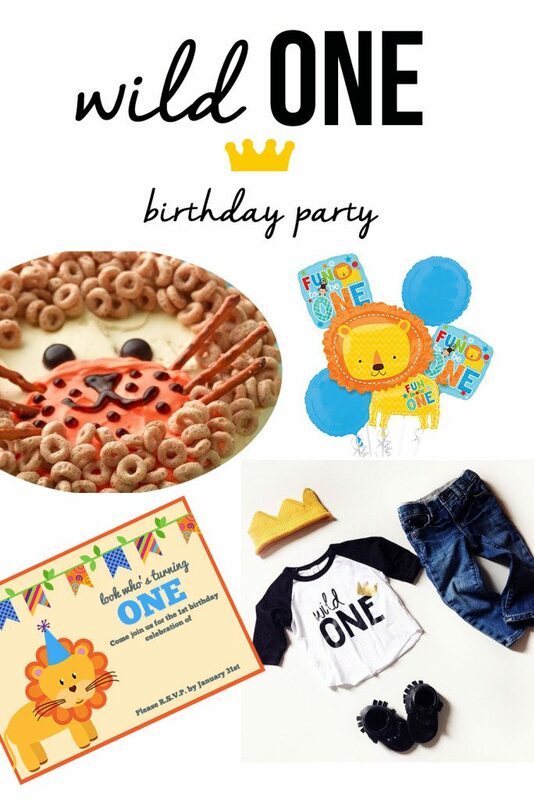 If you remember, I did a Wild One first birthday inspiration post. 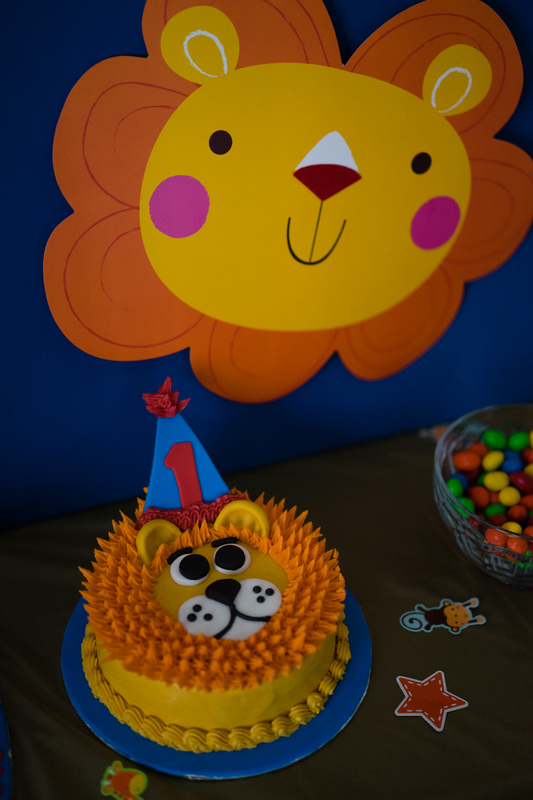 I called the party theme ‘wild ONE’ but really it was a lion birthday theme. I was actually able to get almost everything on my board – so here’s how the day turned out! 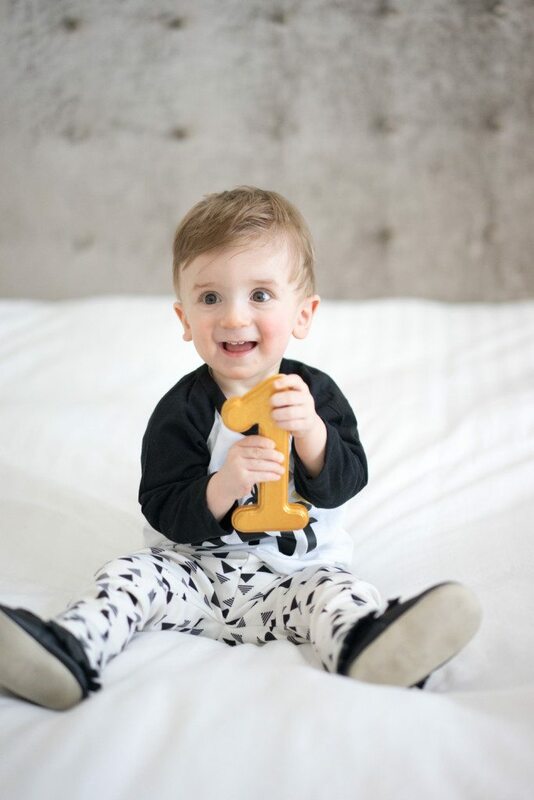 Here’s the little man on his first birthday. I got the “Wild One” shirt and paired it with some arrow leggings and black moccasins. I think the outfit turned out cute and I love the contrast to the gold number 1. Here is the party set-up. 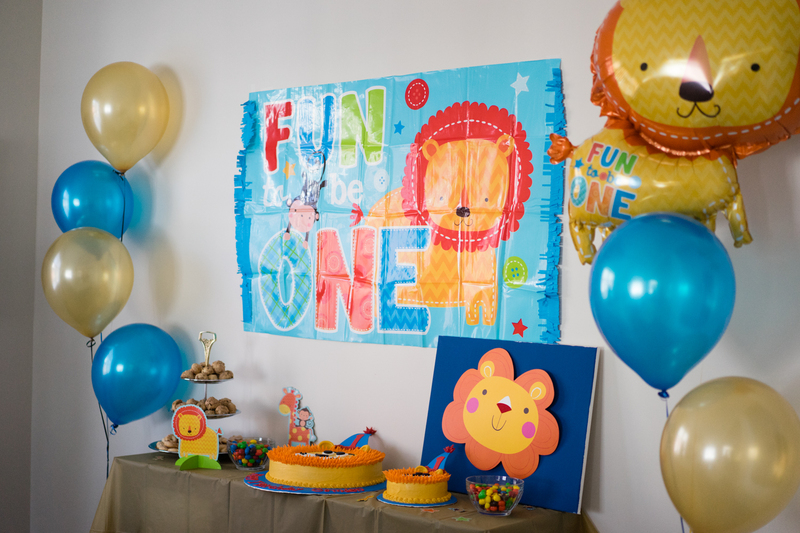 We had the “Fun to be One” theme to go with the Lion theme and got blue & gold balloons along with a lion balloon. 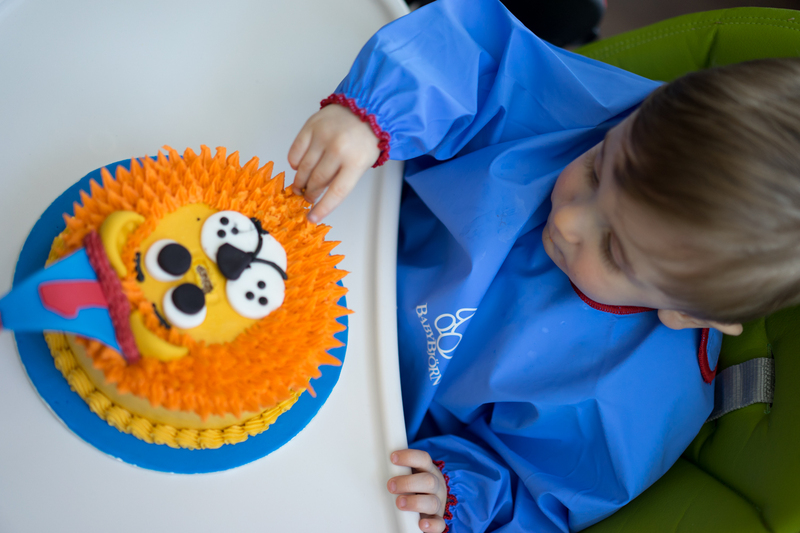 My favourite touch was the lion birthday cake…I wish I could say I baked it but a talented local baker made it. 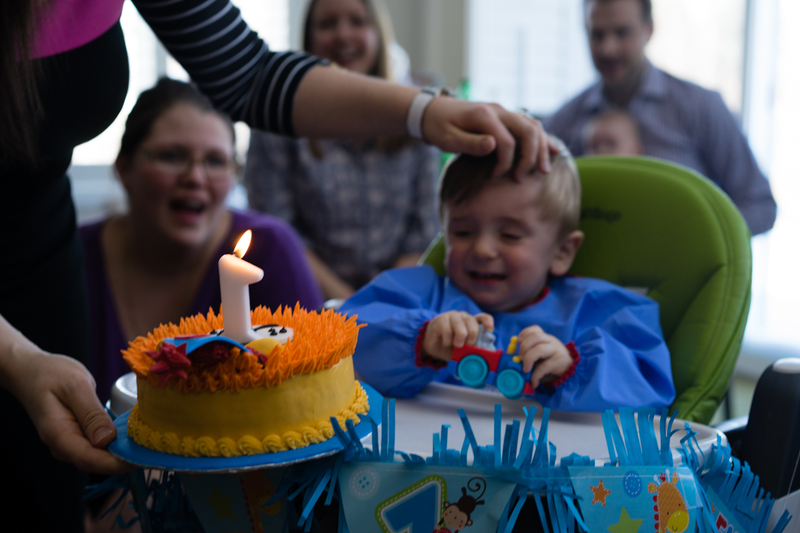 We actually got two cakes – one large one and a small smash cake. He didn’t enjoy us singing happy birthday to him…. The smash cake also didn’t go exactly as planned. 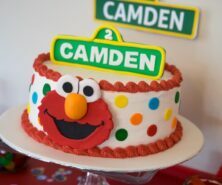 I figured any baby would be happy to place their hand into a cake, right? Nope. Not this kid. 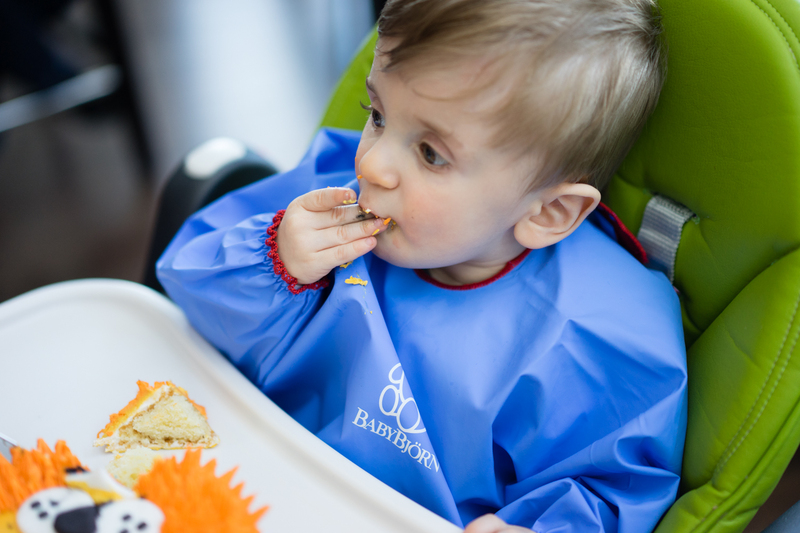 Instead he took little pieces off and ate them but was so proper about it…so much for the ‘smash’! 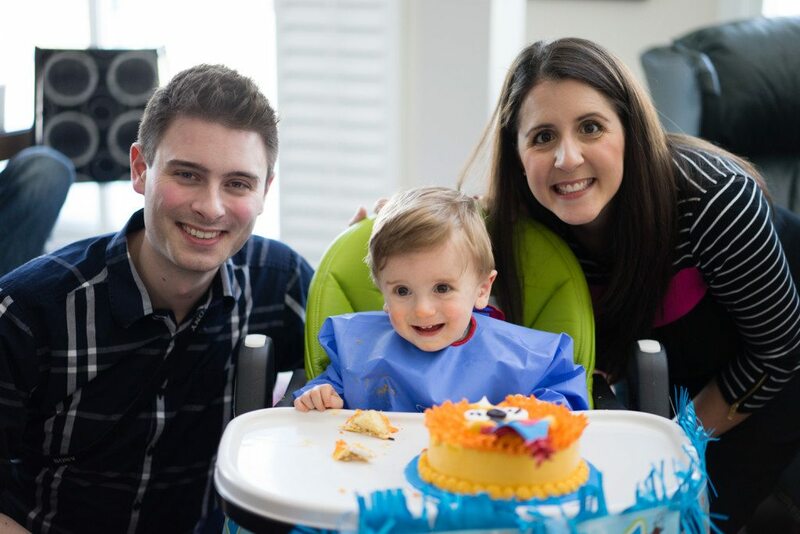 Overall, we had a blast and it was so nice to have family and friends celebrate his first birthday. And this might actually be one of those rare family photo moments we were able to capture also! How big was this cake? I am trying to make this for my daughter. Just can’t figure out if I should make a 10 inch or 12 in cake. This was a 12 inch cake. But depending how many people you have a 10 inch may work too. I would go by # of people you need it for because you can make the design smaller or larger. Hope that helps! 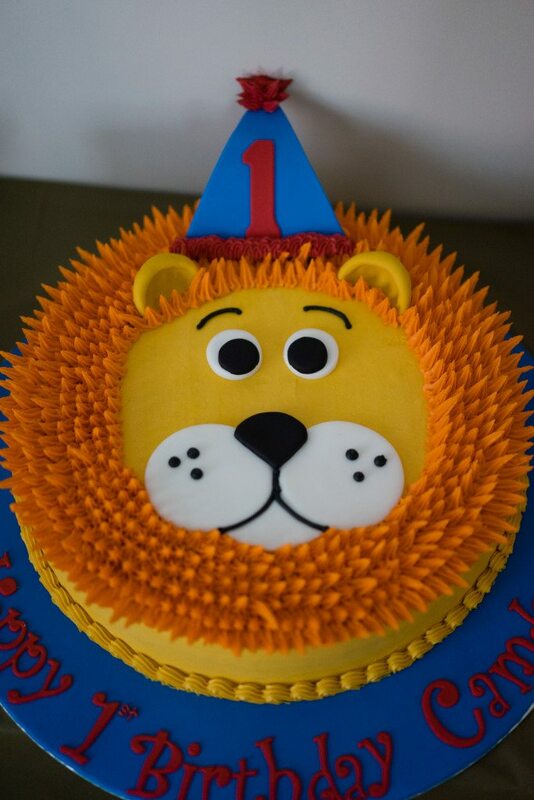 Lovley cake.. Can you plase tell me how did you do the lion’s hair? Is it made of fondant dow or whiped cream?